If you have a pending workers’ compensation or personal injury settlement in Pennsylvania while you are going through a divorce, you may be wondering what portion of your settlement award you are entitled to. An experienced Pennsylvania family law attorney can help you determine what you are entitled to based on the time your accident occurred and other facts of your case. Contact a legal professional at our office today to learn more about your rights and remedies in your pending workers’ compensation or personal injury settlement during your divorce. Generally speaking, any property acquired after marriage and before divorce is considered marital property. However, in workers’ compensation settlements, what is considered marital property is not always so cut and dry. In equitable distribution states like Pennsylvania, courts will look at what is fair when determining how much to award to each party in a divorce. The reason workers’ compensation settlements that are acquired during marriage can be difficult to divide equitably is because what is “fair” can be a very subjective determination. For example, a court may determine that payments for lost wages during the divorce constitute marital property while medical costs and pain and suffering do not. As you can see, there is no clear answer as to whether a workers’ compensation settlement constitutes marital property. These determinations must be made on a case by case basis. If you are currently going through a divorce and have a pending workers’ compensation settlement, contact an experienced family law attorney to represent your rights and wishes. Similar to going through a divorce while awaiting a pending workers’ compensation settlement, going through a divorce during a personal injury settlement can be a very confusing time. Whether personal injury settlements constitute marital property and are subject to division amongst the two parties is a heavily fact specific question. 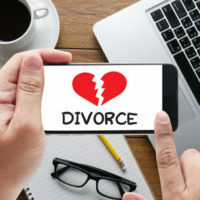 The Pennsylvania Supreme Court in Focht v. Focht found that a personal injury settlement accrued before the divorce occurred constituted marital property and was subject to division under Pennsylvania’s equitable distribution laws. Specifically how a court chooses to divide the marital property in a “fair” way is a subjective and fact intensive analysis. The focus in that case was on when the marital property was accrued, or when the accident took place that resulted in the personal injury lawsuit. If the accident took place while the couple was married, then proceeds from the personal injury suit would constitute marital property and be subject to equitable distribution during a divorce. As you can see, the process of determining how to divide a workers’ compensation or personal injury settlement during a divorce is fact intensive and complex. At Barbara Flum Stein & Associates, our Pennsylvania attorneys have helped countless individuals obtain the maximum recovery possible from their pending settlements during a divorce. We can help you do the same. Contact us online or at 610-565-6100 today for your free consultation.